The due process hearing in this case convened on November 15, 2011, before Timothy L. Newlove, Administrative Law Judge, from the Office of Administrative Hearings (OAH), State of California. Student’s mother (Mother) represented Student at the due process hearing. Advocate Jean DeFlorio appeared for the afternoon session of the hearing to assist Mother. Amy Bozone, Assistant General Counsel, represented San Diego Unified School District (San Diego or District) at the hearing. Amy Perez, a District specialist in special education matters, also attended the hearing. On August 11, 2011, Mother caused to be filed with OAH a Request for Mediation and Due Process Hearing on behalf of Student. On September 26, 2011, OAH granted a continuance of the initially scheduled hearing dates in the case. The continuance tolled the 45-day time period for issuance of a decision in the matter. The hearing ended on November 15, 2011, and the parties submitted the matter for decision at that time. Did the District deny Student a free appropriate public education (FAPE), procedurally and substantively, in the December 15, 2010 individualized education program (IEP) because that IEP contained incorrect benchmark dates (February 8, 2010 and May 8, 2010) for goals 3, 5, 7, 8, 9 and 10? Did the District deny Student a FAPE in the December 15, 2010 IEP by providing a baseline for the social/emotional goal (goal number 7) that was vague, incapable of being measured and based on inadequate information? Did the District deny Student a FAPE by failing to draft a goal to address Student’s maladaptive behavior of mouthing and eating inedible objects from the ground? Did the District deny Student a FAPE by failing to offer supports and services in Student’s IEP’s to deal with the safety issues of Student mouthing and eating inedible items from the ground and running away from designated areas during school hours? Did the District deny Student a FAPE in the September 2010 Supplemental IEP and the December 2010 IEP by failing to offer goals and/or services to address Student’s self-help toileting needs? The Student in this case is a child with autism and severe developmental delays. Student’s mother has challenged the IEP’s that the District prepared for her son during the first three months of the 2010-2011 school year. In mid-September 2010, the District held a Supplemental Review IEP meeting. Then, after performing a triennial evaluation of Student, the District held three Triennial Review IEP meetings that culminated with an IEP dated December 15, 2010. Mother complains that Student is making little progress in school, and that the IEP’s which are the subject of this case failed to address her son’s peculiar behavior of mouthing grass and his problems with toileting. Based upon the following factual findings and legal conclusions, this Decision holds that the District provided Student with a special education program that was reasonably calculated to provide him with educational benefit, and that the subject IEP’s contained specific goals, services and strategies designed to help Student improve in the areas of Mother’s concerns. 1. Student is a 13 year old male who lives in a foster home. Student’s mother visits with him on Sundays. 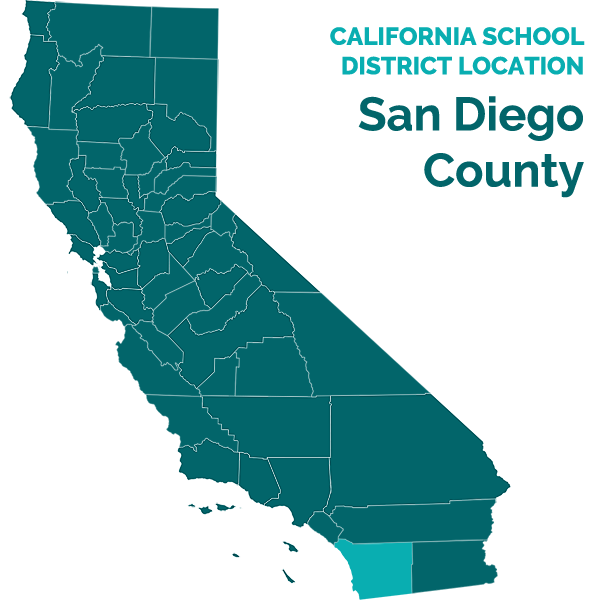 Both Student’s mother and foster parent reside within the confines of the San Diego Unified School District. Student currently attends seventh grade at Bell Middle School which is within the District’s system of schools. 2. Student qualifies for special education and related services under the disabling condition of autism. Student is also intellectually disabled. Student communicates through a combination of words, gestures, and pictures. Student has a limited vocabulary of 25 words such as “go,” “behave,” and “potty.” Often, he strings together words that do not make sense. When he desires attention, Student looks closely and directly into the eyes of the adult recipient. He also initiates contact by touching the adult’s arm or hand. Student is learning to read and use pictures and icons to better express his wants and needs. 3. Student has a short attention span and is easily distracted from schoolwork. He often leaves his seat in class and runs from an assigned area. Student engages in several preservative behaviors which help him self-regulate. In class, he frequently flaps a piece of paper in a rhythmic manner. Student also has a habit of picking a blade of grass, wetting the grass in his mouth, and twirling the moistened grass in his fingers. 4. Student’s disabling conditions have limited his ability to advance in the general curriculum. Student requires small group or one-on-one teaching, and instruction in functional and daily living skills. In school, Student is working to improve his vocabulary, expand his use of pictures, and stay on-task. He is also working to improve his self-help skills, such as using the bathroom without assistance. The District tests Student through the California Alternative Performance Assessment, which is reserved for pupils with severe cognitive impairments. 5. Student is otherwise friendly and happy. Mother testified that he enjoys school. He is popular with the pupils in his general education classroom. He likes animals, though he has a fear of dogs. He enjoys books with animals and his favorite foods. Student is a visual and kinesthetic learner, and he is making progress on his rudimentary IEP goals. 6. For the 2010-2011 school year, Student attended sixth grade at Bell Middle School. Student started sixth grade under an IEP developed in November 2009. With this IEP, Student received 30 hours a week of specialized academic instruction divided between a moderate-to-severe special day class and a general education classroom. Student also received related services in the form of language and speech therapy, occupational therapy, adapted physical education (sometimes “APE”), and transportation to and from school. The November 2009 IEP also provided Student with his special education program during the extended school year. 7. The November 2009 IEP contained a Behavior Support Plan (sometimes “BSP”). The BSP focused on three of Student’s behaviors that impeded his ability to learn: (1) leaving his seat, (2) twirling and flapping of learning materials, and (3) running out of the classroom. This IEP also contained eight annual goals: (1) reading, (2) functional writing skills, (3) math, (4) social/emotional -time-on-task, (5) functional reading, (6) communication, (7) gross motor skills, and (8) social/emotional -self-regulation. 8. On September 15, 2010, the District convened an IEP meeting for Student. The IEP meeting was designated as a Supplemental Review of Student’s November 2009 IEP. The District held the meeting at the request of Mother who was concerned about Student’s progress in school. The IEP team at this meeting consisted of Mother, two advocates assisting Mother, and District personnel, including Student’s special education teacher, his related service providers, and the school psychologist. 9. At the Supplemental Review IEP meeting, the team clarified Student’s special education program, including the amount of occupational therapy he received, and the medications he needed to take. The team discussed Student’s triennial evaluation, and decided to advance the date of this assessment. The team discussed Student’s progress on the annual goals in his November 2009 IEP. The team also discussed goals for his next IEP. In particular, the team discussed Student’s self-help skills, and his continued need for assistance with toileting. At first, Mother did not provide full consent to the IEP document produced after the Supplemental Review meeting. However, several weeks after the meeting, Mother provided full consent with the understanding that, after the triennial evaluation, the team would address the full range of her concerns. 10. During October and early November 2010, the District performed a triennial evaluation of Student. The triennial evaluation was a multi-disciplinary assessment that included psychoeducational testing, a Functional Analysis Assessment (sometimes “FAA”), a speech and language evaluation, and an occupational therapy assessment. 11. Marialuisa Shelledy performed the psychoeducational testing, and FAA of Student. Ms. Shelledy is a licensed school psychologist who has worked at Bell Middle School since 2002. In her psychoeducational assessment, Ms. Shelledy made a behavioral observation of Student. She noted that Student can stay on-task for five to 10 minutes, but that he requires verbal prompts and visual supports to remain focused. Ms. Shelledy also measured Student’s adaptive behavior through the Vineland II Rating Forms that Student’s mother, foster parent, and special education teacher completed. From the Vineland II, the results from the domain of Communication showed Student’s receptive, expressive, and writing skills at the age equivalence of children from one year and three months to two years and six months. The results from the domain of Socialization, except for coping skills, were also quite low. Only in the domain of Daily Living Skills did Student show relative strength where his results for personal, domestic, and community skills placed him at an age equivalence of children from three years and five months to four years and seven months. 12. In her psychoeducational testing, Ms. Shelledy utilized performance-based assessments to measure Student’s academic achievement. She noted that Student is learning to identify objects by function, and improving his functional vocabulary by matching objects with pictures. For example, Student is working on matching picture icons with objects needed for shopping at the school store. Ms. Shelledy observed that Student follows onestep verbal instructions with 90 percent accuracy when focused. She also determined that Student can identify environmental signs, such as “bathroom,” “stop,” and “bus” with 60 percent accuracy. She noted that Student sometimes needs assistance with opening his pants when using the bathroom, and that he does not wipe himself after a bowel movement unless prompted. In the report of her psychoeducational assessment, Ms. Shelledy made a number of recommendations for school improvement, including suggestions that Student begin to develop number sense by giving one item when asked “give one more,” that he use a picture schedule to perform a campus job, that he learn to independently clean himself after a bowel movement, and that he learn to increase the amount of time-on-task. Student’s Triennial Review IEP team adopted these suggestions as annual goals. 13. In her Functional Analysis Assessment, Ms. Shelledy focused on the three behaviors that were the subject of the Behavior Support Plan in Student’s November 2009 IEP: (1) leaving his seat or activity, (2) leaving or running from an assigned area, and (3) the flapping or twirling of learning materials. Despite improvement during his sixth grade year, Student’s teachers noted an increase in these behaviors at the start of the 2011-2012 school year. From the FAA, Ms. Shelledy determined that the antecedents for the problem behaviors included unstructured activities, lack of self-calming strategies and unclear expectations. She also determined that Student engaged in such behaviors both to obtain a tangible consequence, and for sensory reasons. 14. Ms. Shelledy prepared a Functional Analysis Assessment Report. The report contained a list of recommended alternative behaviors as counterpoints to the three targeted behaviors. The alternative behaviors included having Student’s instructors use simple, one-step instructions and picture schedules, and attempt to improve his focus on classroom activities. The suggested alternative behaviors further included the strategy of using deep pressure input on his head or chin when requested by Student. The FAA report also recommended IEP goals of increased self-control and time-on-task. 15. Laura Woodward performed the speech and language evaluation of Student. Ms. Woodward is a speech-language pathologist. For expressive language, Ms. Woodward noted that Student communicates in one to four word phrases, and that he rarely combines familiar words to form new phrases. She also noted that Student displayed delayed echolalia, frequently repeating a word or phrase multiple times in a day. For receptive language, Ms. Woodward observed that, when an instructor asked him to show a particular item, Student had difficulty without a visual reference such as a picture or icon. For pragmatic skills, Ms. Woodward observed that, at times, Student presented the top of his head to a familiar adult in order to receive sensory input. In the report of her assessment, Ms. Woodward recommended that Student continue to receive speech and language therapy. She also recommended that his educators continue to use and explore a picture communication system in order to increase Student’s comprehension, verbal output, and self-advocacy. The Triennial Review IEP team also adopted Ms. Woodward’s suggestions as annual goals for Student. 16. Shortly after completion of the triennial evaluation, the District convened a series of IEP meetings for Student. The meetings were held for the purpose of reviewing the triennial evaluation and developing Student’s special education program for the remainder of sixth grade and the first part of seventh grade. The District held the IEP meetings on November 9, 2010, December 1, 2010, and December 15, 2010. The IEP team members included Mother, several advocates who assisted Mother, and District personnel, including staff who performed the triennial assessment, and Diane Bryson who was one of Student’s teachers and his Case Manager. At the conclusion of the last meeting, Mother gave her written consent to the December 15, 2010 IEP prepared by the District. 17. Student’s Triennial Review IEP team established his present levels of academic achievement, and functional performance. For the most part, the team used the results from the triennial evaluation to set the present levels. In establishing the present levels, the team noted Student’s progress on the annual goals in his November 2009 IEP. Goal number one had required Student to match same case letters, and he met this goal. Goal number two had required Student to mark a box, and he made progress on this target. Goal number three had required Student to exchange money for a desired item, and he accomplished this objective. Goal number four had required Student to stay on-task longer, and he almost accomplished this mark. Goal number five had required Student to use a picture schedule for specific activities, and he reached this task. Goal number seven had required Student to increase his receptive and expressive vocabulary by 25 functional words, but he did not achieve this level. Goal number eight had required Student to stay in an assigned APE area for one minute, and he made progress on this goal. 18. The December 15, 2010 IEP for Student contained a Behavior Support Plan. This BSP derived from the Functional Analysis Assessment performed by Marialuisa Shelledy. The BSP focused on the three analyzed behaviors in the FAA, including Student’s proclivity of leaving or running from an assigned area, and twirling grass in this fingers. The BSP recommended two IEP goals that addressed self-regulation, and increased time-on-task. The BSP also contained teaching strategies, environmental modifications, proactive strategies, and reactive strategies to deal with the targeted behaviors. Such strategies included the increased use of visual supports in order to better communicate with Student, the consistent use of simple, one-step instructions, and the providing of opportunities for Student to express his sensory needs. 19. The December 15, 2010 IEP contained 11 measurable annual goals: (1) math – number sense, (2) math – number sense, (3) communication, (4) functional reading, (5) functional writing skills, (6) social/emotional – time on-task, (7) social/emotional – selfcontrol, and self-regulation, (8) self-help – restroom skills, (9) self-help – mealtime, (10) gross motor skills, and (11) functional reading. The Triennial Review IEP team made a considerable effort in preparing the goals. In fact, one reason that the team needed three meetings to complete the IEP was the give-and-take between Ms. Bryson and Mother’s advocates over the wording of the measurement standards, the baselines, and the benchmarks for the goals. 20. The two social/emotional goals came from Student’s Behavior Support Plan. Goal number six sought to increase Student’s attention in the classroom, and provided that Student “will increase the length of time on a task by following a directed active instructional task for 10 minutes with 3 verbal prompts as measured by teacher records and observations. . . .” Goal number seven sought to help Student relax, and required him to hand a picture or icon of “I need help” to an instructor when he needed assistance with calming strategies. Diane Bryson testified that, unlike a present level of performance which is a general description of a pupil’s status, a baseline states how a pupil is doing in relation to a particular goal. The baseline for goal number seven provided that Student “has asked for help with chin compressions but (sic) taking a staff person’s hand, during the last two weeks of October, when he appeared to be in distress. (Student) will also asked for joint compressions in a similar manner.” This particular baseline reflected Student’s habit, as reflected in his BSP, of seeking deep pressure input from staff as a calming measure. The wording of this baseline was suggested and approved by one of Mother’s advocates. 21. Goal number eight specifically addressed Student’s restroom skills. The goal stated that “(Student) will practice good personal hygiene by wiping himself after using the toilet with a maximum amount of 2 verbal prompts on 2 of 3 consecutive trial days as measured by teacher data.” This goal was necessary not only to make Student more independent, but also to avoid public health problems by lessening the need for instructors and caretakers to clean Student after a bowel movement. 22. Beyond the 11 annual goals, the Triennial Review IEP of December 15, 2010, provided Student with a special education program that gave him specialized academic instruction for 30 hours a week. Student received this instruction in both moderate-to-severe special day classes and a general education classroom. The IEP also provided Student with language and speech services in the amount of 22 hours for the school year, occupational therapy and adaptive physical education services in the amount of 16 hours for the school year, transportation to and from school, and a continuation of the program during the extended school year. 23. Mother testified at the due process hearing. Mother stated that she is concerned about her son’s lack of progress in school. She stated that, when she has visited Student in his classrooms at Bell Middle School, she sees him sitting alone doing nothing. She complained that Student’s classrooms lack structure, that Student runs from the classrooms, and that he places inedible things in this mouth. She stated that she needs to remind Student to clean himself after a bowel movement. 24. The District presented three witnesses at the hearing. The three witnesses were Marialuisa Shelledy, Lisa Larsson, and Diane Bryson. Ms. Shelledy is the school psychologist who performed part of the triennial evaluation of Student. Ms. Larsson is a Behavior Support Specialist who has observed Student at Bell Middle School. Ms. Bryson has served as Student’s special education teacher for the last three years. Each witness has been a member of Student’s IEP teams. The District witnesses are professional and dedicated public servants, and their testimony was given great weight. 25. Ms. Bryson described Student’s seventh grade moderate-to-severe special day class. The class has nine to 11 pupils who are instructed by a teacher, and four adult aides called para-educators. Student receives a good amount of one-on-one support from his instructors. Most of his classroom teaching occurs in small groups or centers. Ms. Bryson acknowledged that Student frequently leaves the classroom. However, both Ms. Bryson and Ms. Larsson testified that, when this happens, Student goes only a short distance from the door. Staff can easily redirect him into the classroom. Ms. Shelledy testified that Student has never eloped into the community, and that his leaving the classroom does not pose a danger. 26. Ms. Larsson and Ms. Bryson testified concerning Student’s self-regulation needs. Student engages in off-task behaviors such as flapping paper and twirling objects in his fingers as a means to calm himself. In particular, Student leaves the classroom mostly for the purpose of picking grass to roll in his fingers. He moistens the grass in his mouth, but does not eat grass, leaves, or berries. He is very particular about the feeling and texture of grass. Both Ms. Larsson and Ms. Bryson stressed that Student’s IEP teams have attempted to replace these behaviors with more socially acceptable conduct, such as chewing gum. So far, the team has not been completely successful in shaping and redirecting Student’s behaviors. 27. The three District witnesses emphasized that the Triennial Review IEP addressed Student’s behaviors of leaving designated areas and playing with grass. Goal number six in the IEP attempted to increase Student’s time-on-task. The more Student focuses upon school work, the less likely he will be to elope from class and pick grass. Goal number seven attempted to improve Student’s ability to self-regulate by using an “I need help” picture. The more Student uses this strategy, the less likely he will be to mouth and twirl grass. In addition, the Behavior Support Plan in the December 15, 2010 IEP contained numerous strategies and modifications designed to increase Student’s attention and thereby reduce his off-task behaviors. The goals and BSP in the December 15, 2010 IEP continued the same approach towards Student’s social and emotional needs as contained in his November 2009 IEP, and reflected in the September 2010 Supplemental Review IEP. 28. The December 15, 2010 IEP contained a mistake. The 11 annual goals in the IEP contained benchmarks. The correct benchmark dates were February 8, 2011, and May 8, 2011. Goal numbers one, two, four and six contained the correct benchmark dates. Goal numbers three, five, seven, eight, nine, 10 and 11 contained incorrect benchmark dates of February 8, 2010, and May 8, 2010. Diane Bryson, as the Case Manager for Student, was responsible for preparing the final IEP document, and she admitted that the December 15, 2010 IEP document contained errors in the benchmark dates. The errors probably occurred while making changes in the language of the annual goals during the Triennial IEP Review process. 29. The mistake in the December 15, 2010 IEP was harmless. The mistake did not impede Student’s right to a free appropriate public education or cause him a deprivation of educational benefit. Ms. Bryson testified that the District fully implemented the Triennial Review IEP, and that Student made progress in his special education program. Likewise, the mistake did not significantly impede Mother’s opportunity to participate in the decisionmaking process regarding the development of the December 15, 2010 IEP. Ms. Bryson prepared an IEP document after the first Triennial Review meeting on November 9, 2010. This IEP contained the correct benchmark dates for the annual goals, and Mother received and signed the document. In addition, Ms. Bryson testified that, prior to the final Triennial Review meeting on December 15, 2010, she provided Mother and her advocate with a copy of the proposed IEP document which contained the incorrect dates, and there were no complaints. Also, after Mother signed consent to the IEP, Ms. Bryson mailed her a copy of the final document, and received no complaints regarding the incorrect benchmark dates. Ms. Bryson was not aware of the mistake until the filing of the due process complaint in this matter. 1. In a special education administrative due process proceeding, the party who is seeking relief has the burden of proof. (Schaffer v. Weast (2005) 546 U.S. 49 [126 S.Ct. 528, 163 L.Ed.2d 387].) Here, Mother brought the due process complaint and carried the burden of proof. 6. In this case, Student’s due process complaint presents issues of procedure and substance. The issues of procedure concern Student’s claims that the Triennial Review IEP of December 15, 2010, contained incorrect benchmark dates for seven of the 11 annual goals, and that the baseline for goal number 7 was vague and immeasurable. The issues of substance concern Student’s claims that the subject IEP’s failed to address his behaviors of running from designated areas, and twirling grass, and his problems with toileting. In keeping with Rowley, this Decision will determine, first, if the District acted in compliance with the contested procedures, and then address the issues of substance. Issues 1 and 2: Did the District commit procedural violations, which amounted to a denial of FAPE, by having incorrect benchmark dates for annual goals in the December 15, 2010 IEP, and by having a vague and immeasurable baseline for goal number seven in the same IEP? 7. Student contends that the District committed procedural violations that rise to the level of substantive harm in his December 15, 2010 IEP. The contention lacks merit. 10. Beyond a statement of a pupil’s present levels, the IDEA and companion state law do not require an educational agency to formulate baselines for annual goals. A baseline is a statement of a pupil’s status in relation to a particular goal, whereas a present level of performance is a more general statement of a child’s skills. (Factual Finding 20.) In contending that the District formulated a vague and immeasurable baseline in the December 15, 2010 IEP, Student is imposing upon the District a standard that does not exist. 11. Even if the District is held to a standard of preparing appropriate goal baselines, the baseline for goal number seven in the December 15, 2010 IEP was not vague or immeasurable. The particular goal derived from observations that, at times, Student wanted staff to touch him on the head in order to self-regulate. (Factual Findings 14, 15, 18.) The goal sought to have Student use an “I need help” picture as a replacement behavior. (Factual Findings 20, 27.) The baseline described the behavior that the goal sought to replace: “(Student) has asked for help with chin compressions but (sic) taking a staff person’s hand, during the last 2 weeks of October, when he appeared to be in distress. (Student) has also asked for joint compressions in a similar manner.” (Factual Finding 20.) One of Mother’s advocates had a hand in drafting the language of the baseline. (Factual Finding 20.) Goal number seven was appropriate in all respects. Issues 3, 4 and 5: Did the District deny Student a FAPE, in the Supplemental Review IEP of September 15, 2010, and the Triennial Review IEP of December 15, 2010, by failing to include goals, strategies, and supports that addressed Student’s behaviors of leaving designated areas, and mouthing grass, and that addressed his toileting needs? 14. Student contends that his Supplemental Review IEP of September 15, 2010, and his Triennial Review IEP of December 15, 2010, denied him a FAPE by failing to contain a sufficient number of goals, strategies, and supports to address his unique needs. This contention, likewise, is not well-taken. The Supplemental Review IEP of September 15, 2010, and the Triennial Review IEP of December 15, 2010, provided Student with a free appropriate public education. The procedural error in the December 15, 2010 IEP was harmless. Therefore, Student’s claims are denied. The decision in a special education administrative due process proceeding must indicate the extent to which each party prevailed on the issues heard and decided. (Ed. Code, § 56507, subd. (d).) Here, the District prevailed on each of the issues heard and decided.